Choosing a reputable carpet cleaning company in Southampton, PA may seem a little overwhelming at first. There are so many choices. Where do you start? A great place to start is with the Better Business Bureau, which evaluates local businesses based upon customer reviews, good and bad. Next, look for a company with many years of experience and highly trained technicians. Finally, look for a company the offers a 100% satisfaction guarantee. OxiGreen in Southampton, PA is happy to be able to say that our company fits the bill! We are a locally owned company that has a great rating from the Better Business Bureau. OxiGreen has 25 years of carpet cleaning experience and technicians who are certified by the IICRC, the Institute of Inspection, Cleaning and Restoration Certification. The IICRC trains and monitors carpet cleaning technicians throughout the country to ensure that they are qualified to do a great job for you. OxiGreen offers a 100% customer satisfaction guarantee. If for any reason you aren’t completely happy with the service we provide, we will come back out and make it right. Also, if any satins appear in your carpeting within 14 days of our professional cleaning appointment, we will return and remove them, no questions asked! An added benefit is that OxiGreen is a 100% green carpet cleaning company. We use only 100% eco-friendly, biodegradable carpet cleaning agents derived from the tea tree. They are totally safe for the environment and for your family. 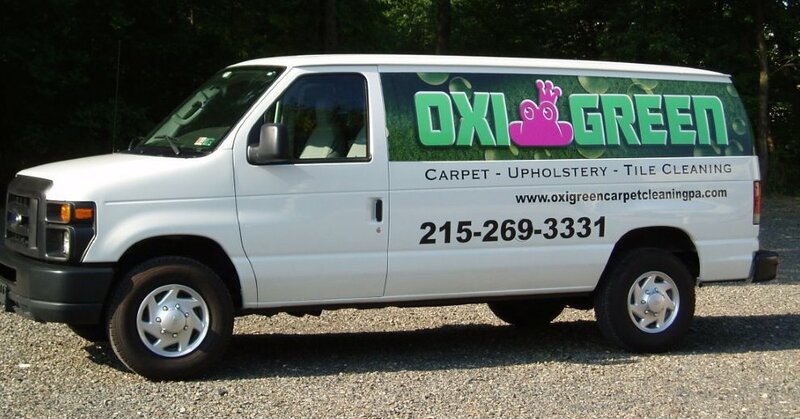 For a reputable carpet cleaning company, contact Oxigreen in Southampton, PA today at 215-269-3331. We will be happy to schedule a free in home carpet inspection for you, and to offer you a free quote. Same day appointments are available to all of our residential and commercial customers.